As creatives, we do have a reputation of lamenting, Ok moaning, mostly, because we worry about what we do. This is of course a generalisation, as we do spend a lot of time too, expressing our joy at a concert we have just performed, or a play we are working on, that we are excited about. On the whole though, we are too harsh on ourselves. What you do is not easy. We are our own entity and the work we produce comes back to us, in terms of judgement. We say it doesn’t matter and we do what we do for ourselves and our audience, but everyone to some extent worry about being judged. In the grand scheme of things, this seems silly, why worry about something that you can’t change? People will always judge, just do what you do and not worry. What is reflecting? Well in this case it’s looking at your recent achievements and smiling about them, being proud of them. Be proud of yourself. We like others to be proud of us, but lets start with being proud of ourselves. This is quite simplistic in approach, but so effective when applied to our lives. These two points will really help you to give yourself some slack, credit, whatever you want to call it. Go on you deserve it. It seems to be groundhog day, when it comes to this subject. I just want to say a massive congratulations, to all my fellow female creatives in our industry, who make it what it is. This article is about the perception of looks, being a factor in females getting ahead in the arts and media. We know the above statement is of course not true, but why have we all heard or read it? Ignorance? Misogyny? Being a gossip? Truth is, there no definitive answer, different people have differing reasons. It’s because of pure injustice and outrage we want to know why both males and females seem to highlight this quite bizarre reasoning. Of course, males also get this “getting ahead because of their appearance” label, but females it seems it ooze natrually to bring up their appearance and choice of outfit, as a matter of reflex. The fact we are expected not to make any sort of objection to this unfair assesment, because we wore a dress above the knee when we performed in that concert or went to that meeting, is ridiculous. Well, all of this is ridiculous really isn’t it? It’s 2016. The best thing to do in any situation, is to smile. Smile because you know you are good at what you do and work hard. It doesn’t matter what a contrived view of a small minority, have of female creatives. Just keep doing what you are doing every day and be kind. Remember, it’s your career and you love what you do, how many people can say that? After successful runs at the Camden and Edinburgh Fringe Festivals, Héloïse Werner’s solo-opera Scenes from the End returns to London for a run at the Tristan Bates Theatre this December. In this haunting piece, Werner explores the overwhelming themes of death and grief. She is singer and co-director for award-wining contemporary quartet The Hermes Experiment (clarinet, soprano voice, harp and double bass) – Tunnell Trust Awards Scheme Winners, Park Lane Group Young Artists 2015-16, UK Young Artists 2014 and winners of Nonclassical’s Battle of the Bands 2014. She is also a founding member of five-piece folk band The Coach House Company and new vocal ensemble SHARDS. 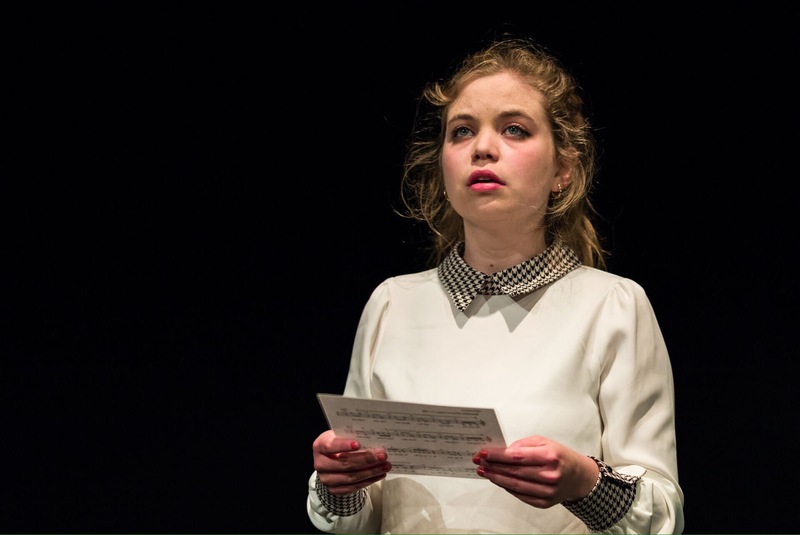 She was born in Paris, read music at Clare College, Cambridge, and is currently completing her studies with Alison Wells on the MA course at Trinity Laban Conservatoire of Music and Dance. Emily Burns is a director who works in theatre and opera. This year she has been at Opera North assisting on their award winning productions of Das Rheingold and Siegfried and will return this winter for their production of Rimsky-Korsakov’s The Snow Maiden, directed by John Fulljames. Jonathan Woolgar has had works performed at the Bridgewater Hall and the Royal Albert Hall by ensembles such as Aurora Orchestra and the Helsingborg Symphony Orchestra, as well as broadcast on BBC Radio 3. In 2010 he won the BBC Proms Young Composers’ Competition. Jonathan is Composer in Residence at Eton College for 2015-17, and will be the Cambridge University Musical Society Composer in Residence for 2017.